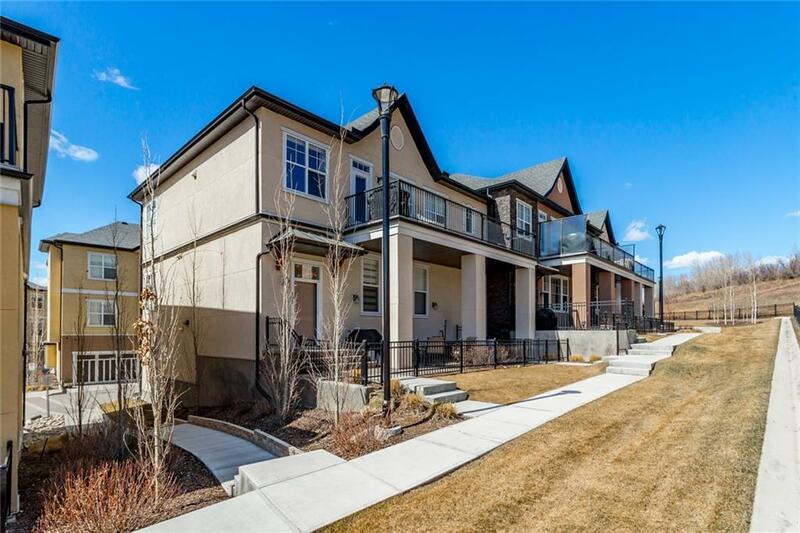 Welcome to Mosaic Riverstone, an enclave of 64 bungalow style townhouse units with double attached garages. 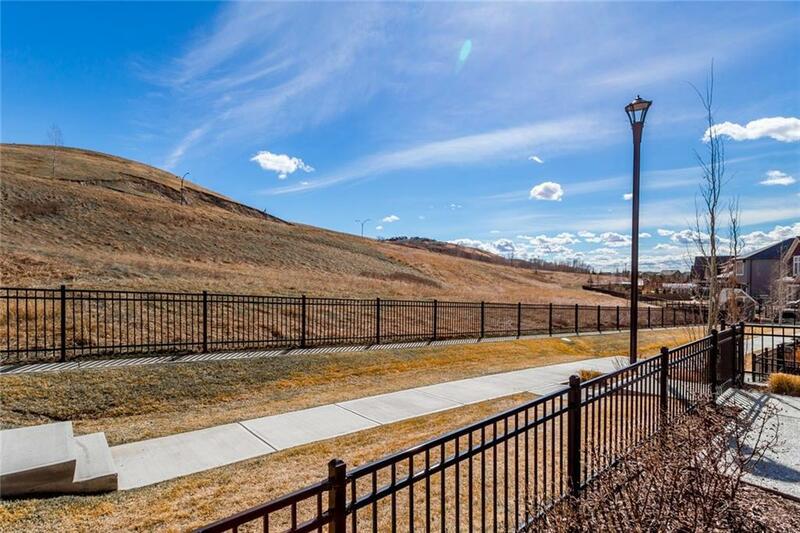 This heavily upgraded home is in one of the best locations in the complex, facing the natural reserve, and is a rarely available to date, LOWER unit. It has been very well maintained and gently lived in, feeling like a nearly new home. Inside you have an open plan main floor kitchen/living area finished with attractive hand scraped wide plank hardwoods. Custom cabinetry has been built on either side of the tile surround electric fireplace. The living and dining area windows look out to the natural reserve space. 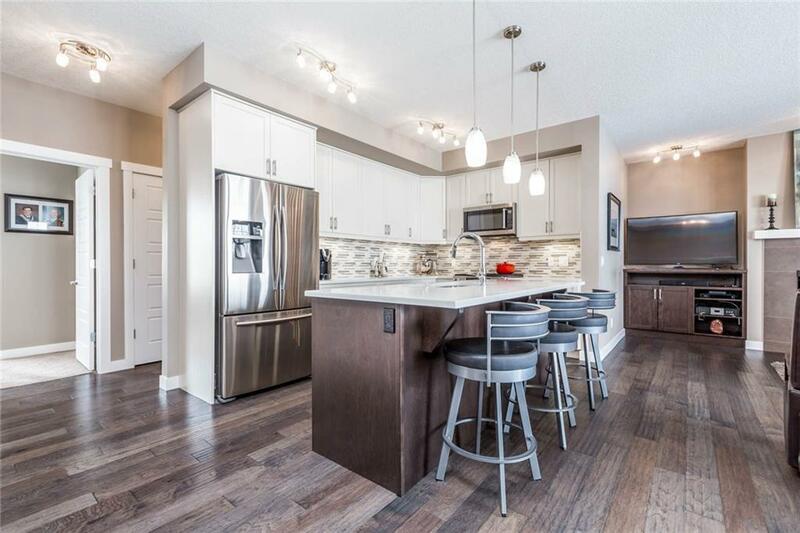 The well designed kitchen is attractively finished with two tone cabinetry (white cabinets with darker island), upgraded stainless appliances including gas stove, under cabinet lighting, and quartz counters with a comfortable three seat bar on the island. 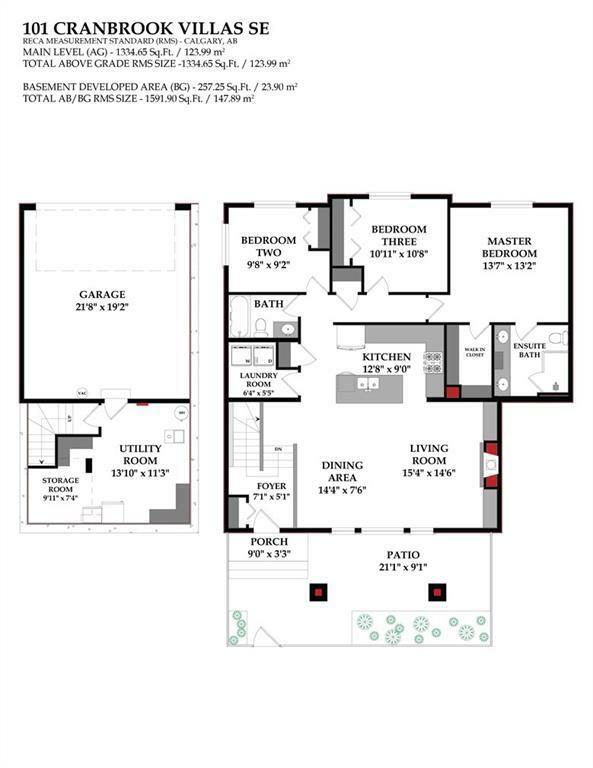 There are three bedrooms including a master suite with walk-in and upgraded ensuite. Listing provided courtesy of Coldwell Banker Home Smart Real Estate. © 2019 CREB®. All Rights Reserved.